New measures to make online gambling illegal infringe on freedom of opportunity, choice. I hope to shed light on the controversy surrounding the movement to ban Internet gaming. 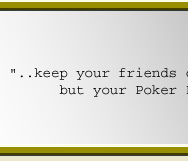 It is an issue of much personal concern for me, having become an avid and successful online poker player. It is also an issue of a much broader concern as well – one of civil liberties. A recent bill, which was pushed through the House by Republicans and is expected to be signed by President Bush soon, makes it illegal for U.S. banks and credit card companies to process funding for Internet bets. The bill has effectively been swept under the rug by politicians and is a blatant disservice to the general public and an insult to our American constitutional principles. Senate Majority Leader Bill Frist hailed the bill, saying, "Gambling is a serious addiction that undermines the family, dashes dreams, and frays the fabric of society." This makes it sound like the House is doling out care and generosity to the masses, and that we as a government are taking time out of our day to tend to the poor, depraved individuals in our society who don't know better. But apparently, they believe we can't make personal decisions or form opinions on our own. There was a scenario similar to this modern battle against online gaming that occurred roughly half a century ago: Prohibition. It turned out to be such an embarrassing and uncontrollable policy that the government felt obligated to provide a public and lasting apology known as the 21st Amendment. We are very fortunate to live in a democratic and capitalistic society here in the United States where we are guaranteed the freedoms and opportunities necessary to grow as a society. I trust I will always have the ability to use my money the way I want. Gambling, defined as risking money on the outcome of chance, is a mere one of many ways that I am able to practice this freedom. Americans are no strangers to using money in unorthodox or seemingly wasteful ways. I have a friend who enjoys working on cars in his spare time. Just recently, he spent a small fortune jazzing up a classic Mustang he had purchased as a joyride. Another friend spent hundreds of dollars on a little piece of plastic that he told us was an important accessory for his digital camera. Should we ban McDonald's in order to protect "Fast Food Nation" from itself? Should we make gas illegal to protect citizens from the insane price hikes? Should college final exams be deemed illegal? I heard that some people become very stressed out, become detached from reality, change their sleep and dietary habits, and have huge mood swings because of them. That sounds a lot worse than a casual game of cards. 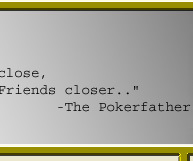 I view online poker as a great form of satisfaction, as well as a valuable source of my income. 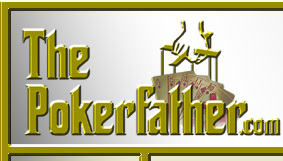 Just like I can play solitaire, hearts and backgammon with the click of a mouse, so too can I find myself playing a casual and efficiently run game of poker. Congressmen have worked hard to take away this right to play online poker. It's a scary proposition, because chances are, they aren't bluffing.